Halloween has passed, Thanksgiving is yet to be, which means it’s time for Christmas to vomit on everything in creation, to that end, I give you the red-band trailer for ‘The Night Before’. 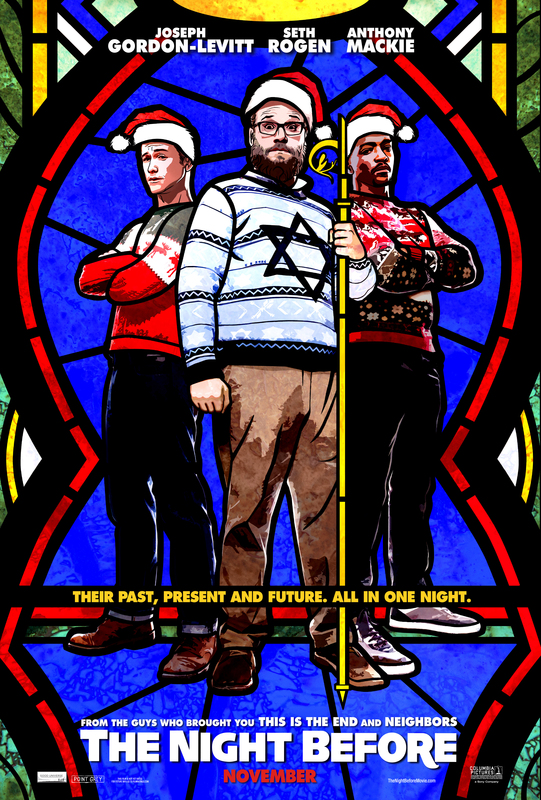 If you can’t wait to see Joseph Gordon-Levitt, Seth Rogen and Anthony Mackie make this Christmas Eve as fucked up as ‘The Hangover‘, we’ve got another little taste of the mayhem they will create! If you don’t want to see this, what are you doing with your life? 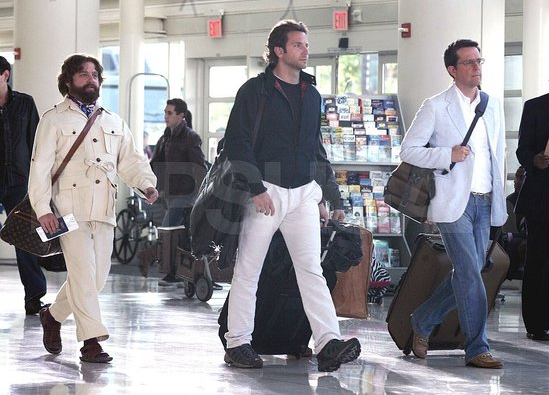 I’m not quite sure why ‘The Hangover III‘ was called ‘The Hangover III’. The first two films actually dealt with four friends having an epic hangover and their crazy exploits and adventures. This third installment doesn’t even include a hangover and oddly leaves a lot of the comedy at the front door and focuses instead on violence, murdering animals, and action sequences. I’m sure this will score a giant box office reward for its opening weekend, but bad word of mouth should prevent this third and final act from making any more money past the next couple of days. 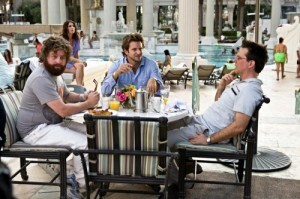 Todd Phillips Says ‘Hangover III’ Will Be Dark and Deathly!! I, like many others, was super excited when word broke that they were coming out with ‘The Hangover Part II‘ and I was also very anxious to know if they were going to keep with the theme of the movie and do a wake-up and a blackout. That part didn’t bother me. Where I was a bit dumbfounded was the fact that Stu was marrying some Asian girl who had no relevance to the story line. After having seen the movie, I had hoped they would pick up where they left off to lead into Part II to have some sort of explanation as to who this girl is that Stu is marrying. Was he originally supposed to marry the Stripper (Heather Graham’s character)? And the Asian girl was her bridesmaide. Something along those lines. Well it’s here, folks. We debuted the poster yesterday and today we get the first trailer for the epic conclusion of the money making comedy franchise. I enjoyed the first film quite a bit, and the 2nd one felt like it was the same exact film with the same exact jokes, which got redundant. I hope this third and final film goes all out and is at least a bit original. 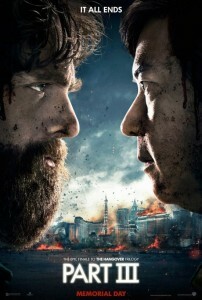 The Poster for ‘The Hangover III’ Looks Intense and Familiar!! Well, here is the new poster for ‘The Hangover III‘, which is set to release on May 24th. From the looks of this, Las Vegas is in for one wild and destructive time. Plus it reminds me of Warner Bros.‘ ‘Harry Potter‘ posters. 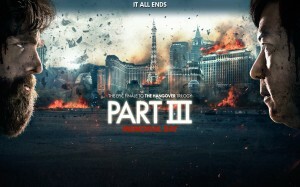 Synopsis: “The Hangover Part III” is the third and final film in director Todd Phillips’ record-shattering comedy franchise. This time, there’s no wedding. No bachelor party. What could go wrong, right? But when the Wolfpack hits the road, all bets are off. So, i guess this will be the last film of the series. That is until warner decides to reboot it in a few years with a different cast. Looks epic. 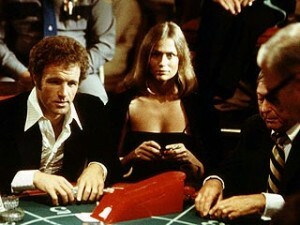 ‘The Hangover’ Director Looking to Direct Remake of ‘The Gambler’!!! Todd Phillips might just make that leap into dramatic films after all. 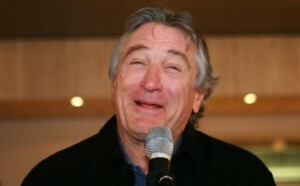 Phillips directed ‘Old School’, ‘Road Trip’, and ‘The Hangover’ films. All of his films so far have been comedies, that have really had the same jokes and starred most of the same people. But now, it looks like he might take the helms of Paramount’s ‘The Gambler’ remake, which had Martin Scorsese attached at one point in time. The film is titled ‘ Las Vegas’ and stars as of right now Michael Douglas with Robert De Niro in final negotiations to star opposite Douglas. The script was written by Dan Fogelman (writer of Pixar’s Cars/Cars 2/ Bolt/ Tangled/ Crazy,Stupid, Love) and plans to start production soon. We even hear that Christopher Walken is in talks as well to co-star. Well negotiations are just about done to get filming started on the third ‘Hangover’ movie. This has been going on for a few months due to the big salary demands for the three actors; Ed Helms, Zach Galifianakis, and Bradley Cooper. Supposedly they are asking for $15 million each plus backend money. As the dealings are just about wrapped up, they are most likely going to receive what they are asking. 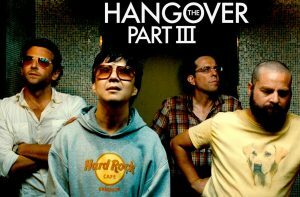 The sequel to the hit comedy ‘The Hangover’ is out in all theaters and is definitely funny, but with a price. I know most of you have seen the sequel already and yes I am late getting this review out, but I have had tons of things going on. But alas, the review is here. First thing to know about ‘The Hangover Part II’ is that you will most definitely laugh wildly all the way through the film. 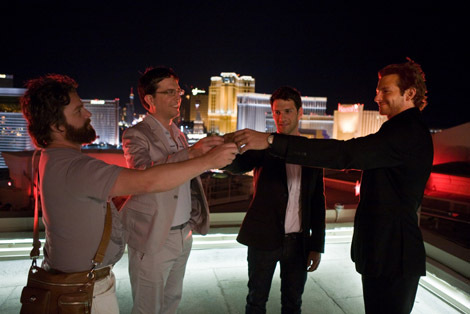 The second thing you need to know about ‘The Hangover Part II’ is that it is the exact same film as the first ‘Hangover’ movie to a tee, except it takes place in Thailand rather than Vegas. Well we have new and full length theatrical trailer for Hangover II. The trailer looks to be about the same as the first film, which I am cool with. Don’t change a good thing you know. Let’s just hope the whole film will be just as good as the first one. I for one am very excited to see this. Earlier today, it was reported that the Mel Gibson cameo as a tattoo artist in the upcoming sequel to The Hangover was cancelled. This was caused by certain actors and crew members and friends of the producers protesting Mel’s involvement. Supposedly Zach Galafianakis was the ring leader in this. So as quick as lightning strikes, there is a replacement for Mel’s role as the tattoo artist. The character calls for somebody who is completely CRAZY and somebody who you would be scared to talk with. The man taking on the role now is Liam Neeson. Yes a Jedi will be in the Hangover sequel. Hangover star Bradley Cooper had a hand in getting his A-Team co-star the gig for this movie. Can’t wait to see Liam pull this character off. Earlier this week, it was reported HERE that Mel Gibson would have a cameo role in the upcoming Hangover Sequel as a tattoo artist. This did not go over well with some people working on the movie. What are your thoughts? do you think Mel should get a….let me see…4th chance?